5 BNC cable includes five 28 AWG 75? mini-high-resolution coaxial cables, pre-terminated with 75? BNC connectors, each coax colour-coded. 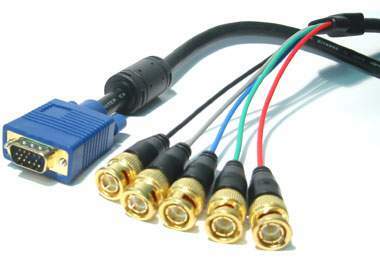 This cable is perfect for applications using red, green, blue, horizontal sync and vertical sync signals. RGBHV (on BNC) Male Cable.